Today Aug 15, 2012 it's 100th birthday of Julia Child, an American chef. For this great lady today's google doodle has created to celebrate her 100th bithday. 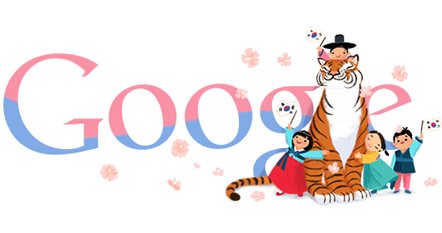 Also 2 more doodles on same day on Indian independence day and National Liberation Day of Korea. Today Aug 15, 2012 it's 100th birthday of Julia Child, an American chef, author, and television personality. She introduced her Cookbook, Mastering the Art of French Cooking Which was first cookbook for American public to introduce French cuisine in their taste. For this great lady today's Google doodle has created to celebrate her 100th birthday, A Google doodle on Julia Child's 100th birthday. 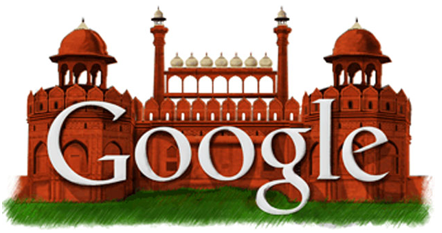 How Google can forget India's Independence day, There is no Google Doodle on this 15 August, 2012. Last time Google created a wonderful doodle for this great day as you can see in the picture below. Now Google also created a doodle logo for India as they forgot to mention India's Independence Day and finally they created a beautiful doodle on India's Independence day. 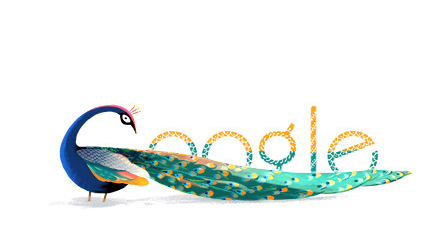 This is specialty of Google that they show doodles according to particular country's occasion or event. Here on Aug 15, 2012 one more doodle for National Liberation Day of Korea 2012.